Suddenly Turmeric has turned into the next fad – the newly found healthy spice. Suddenly, there are so many new turmeric products are now available in the market. Turmeric tea, cookies, cakes, shakes and when I found out that Starbucks now offers “Turmeric Latte”. I was downright tickled 🙂 !!…. For us Indians, we have known this spice from our childhood. Used it every day in our curry’s, veggies, and parathas – nearly everything. Known as ‘Haldi’ – a Hindi name, it has always been a part of our cuisines from ancient times. It is also a very important part of Ayurveda – which is a nature-based medicinal system in itself. But the point to be noted here is that in East Asia & India – we do not only rely on Turmeric. There are so many masalas used, with its own unique medicinally benefits. Makes one wonder how our ancient civilizations knew all the advantages: which is now coming out as the new fad. When every masala is used in moderation – we get those exotic flavors combined with great health. For nearly a decade, every day in the morning, the first thing after waking up – I have been drinking warm water with a pinch of this golden spice. I can’t scientifically say this has helped me – but it’s the only regime I have followed and my skin has remained good and clear without any break-outs. It’s the best remedy for keeping cold and flu away. Consume this during those particularly troubling seasons. When our kids get tempted to imitate us and ask for tea – give them this version J. And the most important it helps in settling tummies – good for upset stomach. Improves digestion. Its antioxidant properties make your skin glow. Its anti-inflammatory helps in inflammatory health conditions especially for joint pain and arthritis relief. Heat water, put turmeric (and other spices if you want) and bring it to boil. Once it is boiled, switch it off, strain and add the honey or lemon as per your taste and enjoy it. Have it daily – replace it one or more of your tea routine daily and please be patient. Results should show over a consistent use….. Adding Pepper increases the absorption rate by 2000 times and also gives flavour to the tea. Do not over boil it, it should not simmer more than a minute or two. Be fit, be healthy….. be in peace. Oh yes, I know this and we love it even my kids. 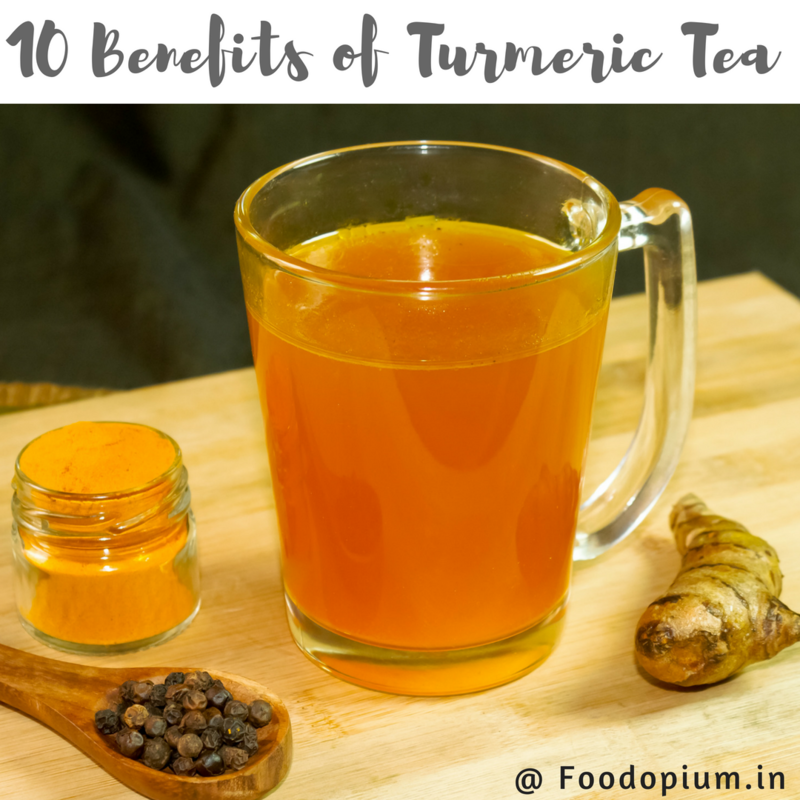 We have been putting so much effort to go alkaline diet, and so turmeric tea is definitely in. That’s nice is to hear, 🙂 we have been having this for many years…! it really helps and lives up to its reputation I should say. I keep hearing about turmeric but haven’t tried it yet. I might have to one day since there are so many benefits. Sure you should give it try..as part of your daily routine…! I never knew all of the benefits of Turmeric tea. This is something I totally need to get in on more because I am loving all of the good stuff it does for the body! What a great benefits! honestly I don’t drink any tea! but this is really nice! very healthy! NO tea that’s good, You should try getting turmeric tea it in your daily regime…and see for some days……! it’s great to drink turmeric tea. thanks for sharing the benefits.. I’d love to have a cup of tumeric tea now after knowing it’s benefits..
Good to know, the information is helpful thanks. Didn’t know turmeric tea has a lot of benefits. Would love to try drinking one someday. 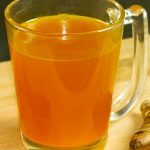 Wow, I know that turmeric is good for our health, but I never thought about making a turmeric tea. This looks really nice! Turmeric is quite incredible. Much more than I have ever know. If I even sound sick, my mommy will say swallow some turmeric and honey. I love tumeric tea! There are so many variations to this tea! So funny. I just made some turmeric tea and put it in my fridge. I have not added lemon to it but I think I will now. Great recipe. Although I am half Indian and know about tumeric, I’ve never had it as tea. Very interesting and if it clears up skin that’s even better. Might just try it. I’m always up to try new things. Nice to know that you might give it try, thanks. 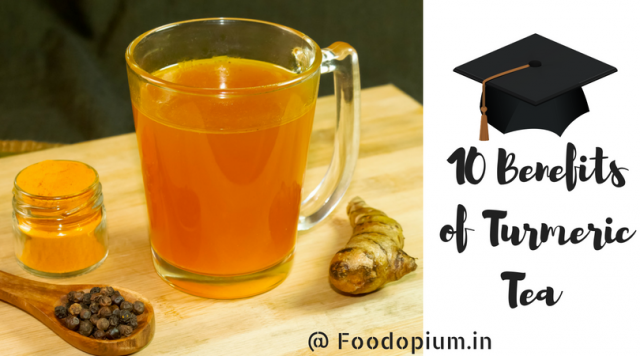 I am a Tea addicted person.. usually i drink tea 3-4 times in a day.. i have tried turmeric tea after reading this post.. its good in taste as well as healthy too.. its good for health .. thanks for sharing this recipe.. Thanks for the feedback on the recipe, please do visit back for more exciting posts and recipes.